October 28 is the International Animation Day. On this day in 1892, French artist and inventor Emile Reynaud publicly presented his Théâtre Optique”, the first animation technology. Among other things, animation has often been used to explain science in a simple and comprehensible manner. In order to commemorate this ground-breaking invention, we propose you watch some popular science cartoons! This 1965 cartoon is one of the Soviet animation classics. Director Lev Milchin sends his characters – a physicist, a mathematician and an engineer – into the microworld where they introduce the viewer the viewer to the powerful forces sleeping in the atom. If you’ve ever read Perelman’s Physics for Entertainment, you’ll definitely like this short! Masters of Lightning speaks about electricity, the laws of thermodynamics, and power industry. This is the first cartoon from the Tales about Professions series (1985-87) directed by Boris Akulinichev. Though the piece itself is aimed at children, the adult audience will also like the author’s take on the history of science and his peculiar humor. By the way, you might also want to check out the other parts of the series: for example, Hephaestus's Helpers tells about the metals industry, and Milk Neptune about dairy production. And this one is an example of a Russian popular science cartoon created at the Laboratory of Scientific Animation of Novosibirsk’s Zokol creative space in 2017. If you’re into strange humor, you’ll definitely like this superhero story with characters based on mole rats, axolotls, and other creatures with “outstanding” superpowers. Some say that staying serious until the short’s end also calls for some supernatural composure. This 15-minute cartoon took as much as four years to create. The authors tell a story about two cosmonaut friends, their dreams and lives. Though you can’t really call it a popular science cartoon (it is only the setting that is science-related), this piece by Konstantin Bronzit is definitely worthwhile. In 2015, We Can't Live Without Cosmos won the Annecy International Animated Film Festival and the Le Cristal d'Annecy prize at Animafest Zagreb. In 2016, the short was nominated for Oscar. Who said that popular science content shall be serious? This Spanish short tells a story about a cave dweller who doesn’t seem to understand the benefits of modern technologies. Well, he might have a point! This one is just a funny take on archeologists, a story about an explorer who finds a remote to the Cairo pyramids. Spoiler: never trust a camel. And now it’s time for more serious things. If you’re interested in healthcare issues, the Global Health Media Project is something that you definitely have to check out. The channel has videos about the situation in Africa, animated guides on the history of particular diseases, real cases about medical volunteers and so on. This one has a whole series of popular science clips that explain different scientific inventions and phenomena. For one, the authors succeeded in explaining the essence of the work of Wilhelm Röntgen, first Nobel Prize winner, in just a little more than three minutes. If you like watching TED lectures, be sure to check out the TED-Ed channel, a non-profit project by 15 teachers and artists. These guys turn lectures into high-quality animated videos and publish them in open access. The topics are most diverse: you can learn how tornadoes form, what is animal cannibalism, or why particular species of birds can’t fly. According to the project’s team, they get over two million hits a day. Another channel with educational videos on diverse topics, among which are space exploration, medicine, biotechnology and so on. 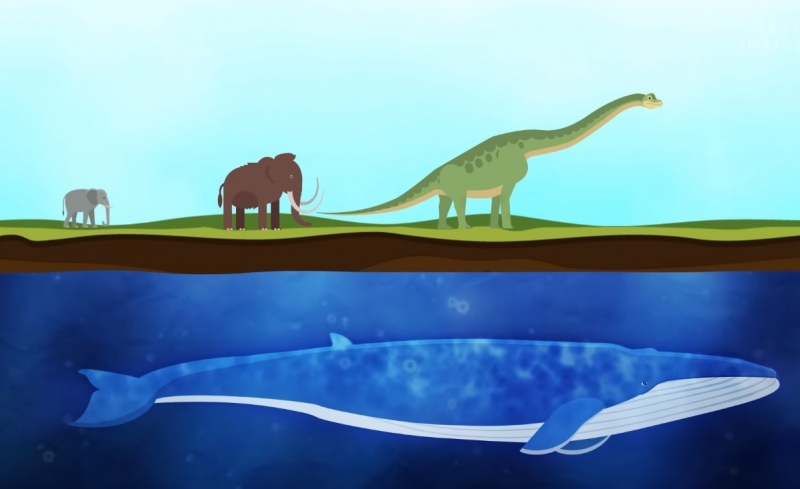 For instance, you can learn how deep is the ocean or why wales grew this big. KHAN Academy is a non-profit educational organization that was created in 2006 by Salman Khan, a MIT graduate. Its goal is to provide education “for free, for everyone, forever”. On the academy’s website, you can find over 4,000 lectures on mathematics, history, healthcare and medicine, finance, physics, chemistry, biology, astronomy, economics, history of arts and computer science. They have animated videos, as well. For instance, you can check out the clips created in collaboration with NASA: here they explain why Mars is red, and here you can learn about the planet’s atmosphere and temperature.